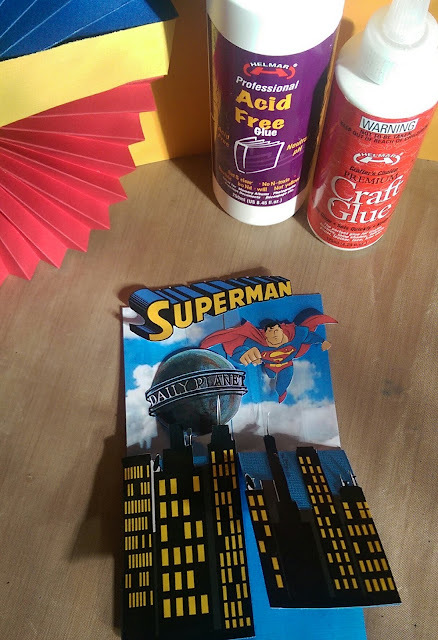 As a family of nerds Superman is one of the characters we loved so I thought a Superman pop up box card would be a great addition to add to our card stash so it is ready for someone to grab when they need a card and add a number or message as needed. This is my third box card and I found using Helmar Acid Free Glue to be much easier than double sided tape when assembling the box card as it can be fiddly getting the pieces lined up just right on the inside so the glue gave me the wiggle ability needed to line things up just right. It has been a few months and I couldn't think of the measurements I used so I did a quick Google image search for a box card template and used this one here. If you haven't made one of these cards before there are a number of tutorials on YouTube. I decided I wanted to kind of build a scene so I printed a picture of a cloudy sky to use on what will be the back to panels when closed and a cartoon/clip art style cityscape for the 2 front tabs, I printed the cityscape so that the tops of the tallest buildings would poke over the top to add to the scene. 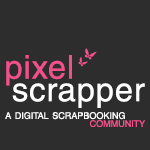 I used a trimmer for the straight cuts and fussy cut the top and sides of the building. 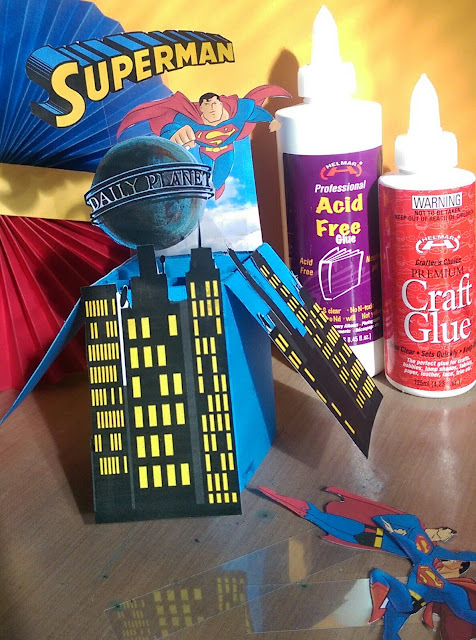 I fussy cut the Daily Planet globe, Superman word and 3 images of Superman flying so I could play with them for the inside sections work out which Superman suited my card best. I didn't want to put a lot in these sections, I wanted it to be a simple scene. I used Helmar Premium Craft Glue to glue these items on to strips of plastic from a sticker sheet so they would be floating. I love how my scene turned out, both when closed and open. I will definitely be making more Pop Up Box Cards with these wonderful glues as it came together much easier with them.